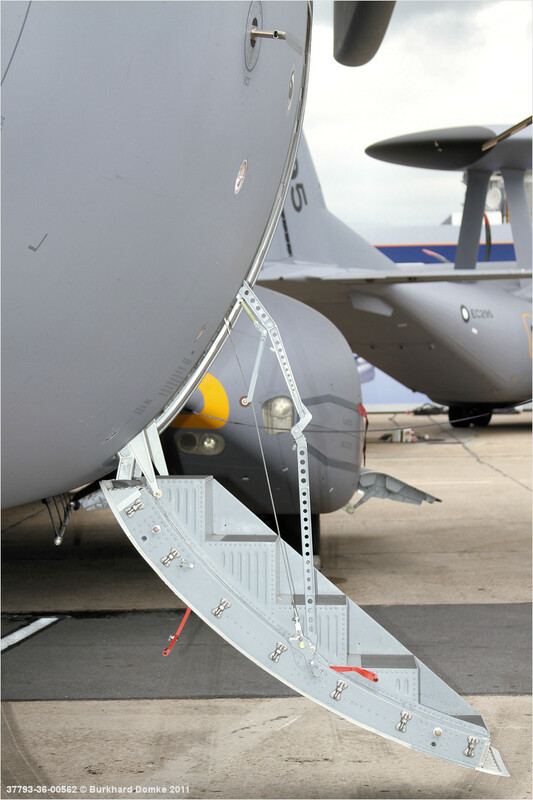 Crew entry door with integral airstair. Note cable and linkage. Also note red release handles.